Renowned Autism Specialist, Dr. Annette Nunez, the Founder and Director of Breakthrough Interventions, LLC joins eHealth Radio and the Autistic Syndrome Information & Health News Channels. Dr. Nunez is a licensed psychotherapist and has worked with children with ASD and other related disorders for over 22 years. Summertime is here, which means parents across the board will be looking for activities to keep their children occupied while school is out. However, this can be more difficult for parents of children with Autism. What are some activities or exercises parents can do with their children at home? As an expert for over 20 years, what are the top misconceptions of children with autism? We learned you've recently started a social media campaign called #iAcceptAutism. Can you tell us about the movement? What do you hope participants in the campaign will do as a result? For parents of children with autism who may be struggling in school or at home, what advice do you give to them? Dr. Annette Nunez is a highly sought after Autism expert, author and founder and director of Breakthrough Interventions, LLC, a multi-dimensional therapeutic program with specialized one-on-one programs at home and in school for children with autism. 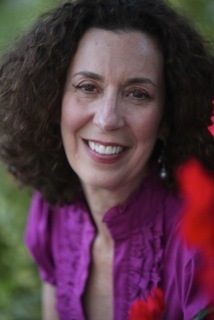 She is a licensed psychotherapist and has worked with children with ASD and other related disorders for over 20 years. Dr. Nunez’s mission is to enrich the lives of children by providing academic, behavioral, cognitive and social support so that each child will be integrated into general educational classrooms, be able to develop friendships with peers, and become productive, independent individuals. She received a BA in Psychology, an MS in Marriage and Family Therapy and a Ph.D. in Quantitative Research Methods with a specialization in Child Development. At UCLA, she studied and trained with renowned autism expert, Dr. Ivar Lovaas on Discrete Trial Training (DTT). She also received training from the Institute for Child Development in California on the Floortime Approach and developed a successful behavioral program that combined aspects of DTT and Floortime. As part of her doctorate work at the University of Denver, Dr. Nunez developed the Children’s Social Competence Scale (CSCS). The CSCS is an early intervention evaluation tool that measures social competency in young children. She serves as the Program Director for Connect Us, a non-profit organization that helps children cultivate positive relationships through facilitated play. Her research interests include the mainstreaming and socialization of children with High Functioning Autism and Aspberger’s. Dr. Nunez wrote the The BI Approach, as well as a book titled Friendship Is, a touching children’s book which shows just how children with autism care for others in their own unique ways and takes a unique look at social acceptance and friendship. She is currently writing a book about the SCIP Model that will be published by early next year. She conducts many seminars throughout the country and in China and plans to continue educating parents and professionals about mainstreaming and socialization of children with HFA and Aspberger’s. Dr. Nunez was recently honored by the Autism Society of Colorado as a finalist for the 2011 Faces of Autism Professional Award. 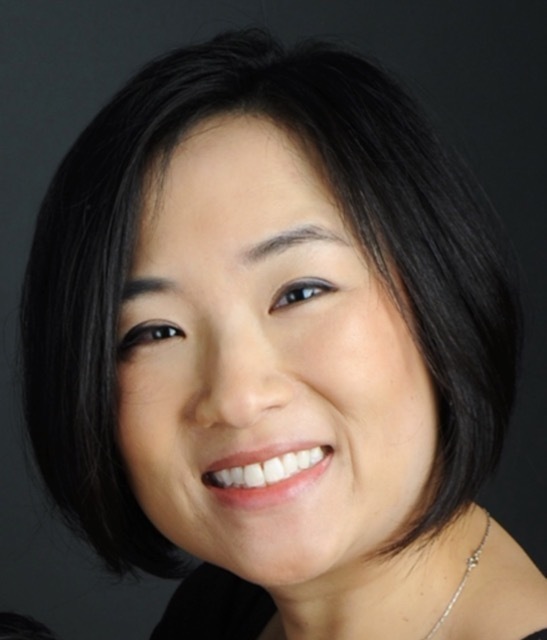 Dr. Suzanne Goh, Chief Medical Officer for MitoMedical, a US manufacturer of all natural supplements and leads her own practice in San Diego California joins eHealth Radio and the Autistic Syndrome Information & Health News Channels. During your career as a physician what was the one event that has inspired you and shaped the work that you do? For those of us who are not doctors what is mitochondria and how does it relate to autism? What brought Michelle and her son to your office and how did you help them? Tell us more about your work with these therapies. What kinds of changes have you seen in children with autism? 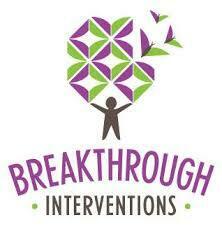 How does this kind of therapy fit in with other therapies that a child with autism might be getting? For any parents or family members who might be listening and interested in getting the best treatment for their child, can you give them any advice? What tips can you offer parents that may be in a similar situation with a child that is on the spectrum, what should they do to give their child the best chance at living a normal life? Dr. Suzanne Goh M.D. MBA., is the chief medical officer for MitoMedical, an all natural dietary supplements manufacturer that identifies state-of-the-art practices to use towards the development of effective products that support healthy mitochondrial function. Dr. Goh is a board-certified pediatric neurologist with expertise in the evaluation and treatment of children with autism and other neurological conditions that impact brain development, cognition, and behavior. Before establishing Pediatric Neurology Therapeutics, her practice in San Diego California in 2013, Dr. Goh served as co-director of the Columbia University Developmental Neuropsychiatry Clinic for Autism and Related Disorders in New York City. She is a Rhodes Scholar and a graduate of Harvard Medical School. Dr. Goh has collaborated with the world-renowned developmental psychologist Dr. Marion Blank to create ASD Language, a series of programs to teach meaningful language and communication to children with autism and other developmental disorders. She is also co-author of the book Spectacular Bond: Reaching the Child with Autism. 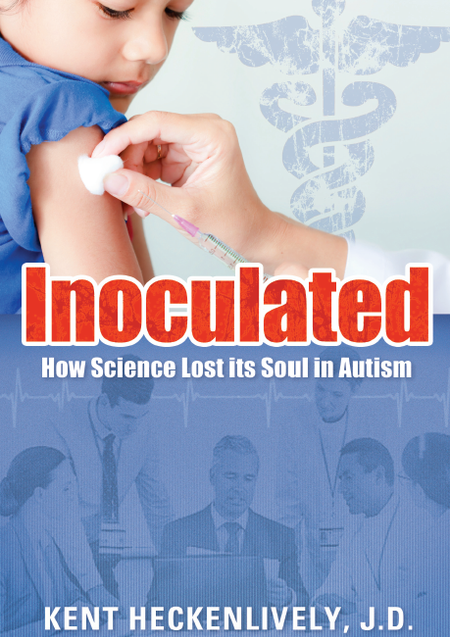 Kent Heckenlively, a science teacher, attorney, and author, who wants the world to know about the CDC whistle-blower, Dr. William Thompson and it's all in is new book, INOCULATED: How Science Lost its Soul in Autism joins eHealth Radio and the Health News Channel. Tell us why you decided to write this book. Why is INOCULATED such an important book? In your subtitle you use the phrase – “How Science Lost its Soul in Autism” – please explain what you mean? You share some startling revelations in the first three chapters, can you talk about some of them? What first brought this subject to your attention? Kent Heckenlively is a science teacher, an attorney, and a founding contributing editor of Age of Autism. During his undergrad years at St. Mary’s College, Heckenlively worked for U.S. Senator Pete Wilson and was the school’s Rhodes Scholar candidate. In law school at Golden Gate University, he was a writer and editor of the school’s law review, spending his summers working for the U.S. Attorney’s Office in San Francisco. In the summer of 2010 and 2011, Heckenlively attended the Teacher Research Academy at Lawrence-Livermore National Laboratories, spending eight weeks in a virus lab investigating the expression of micro-RNAs in a monkey model of Ebola infection. 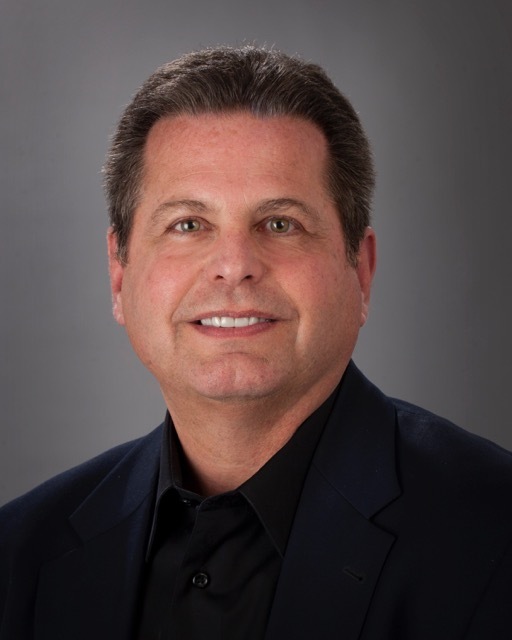 Kent is also a member of the Compass group, a consortium of autism parents, leading scientists, and philanthropists in Silicon Valley looking for answers to neuro-immune diseases. Heckenlively served on the Executive Council of the San Ramon Valley Education Association for several years and was the Health and Safety Committee Chairman for the teacher’s union, representing more than 1,600 educators, therapists, and psychologists. In the fight against chronic diseases, Kent finds great wisdom in the strategy used by Nelson Mandela in South Africa. Mandela believed change could only come about when one engaged in satyagraha, a Buddhist concept which insists on speaking the absolute truth, while at the same time practicing ahimsa, a commitment not to harm those who might be your adversaries. In November of 2014, Heckenlively published PLAGUE: One Scientist’s Intrepid Search for the Truth About Human Retroviruses, Chronic Fatigue Syndrome (ME/CFS), Autism, and Other Diseases, with Dr. Judy Mikovits, a 20-year government scientist and former head of the Lab of Anti-Viral Drug Mechanisms at the National Cancer Institute. The book quickly became one of the best-selling virus books of the last 30 years and has garnered extensive praise from the patient community and leading physicians. His new book, INOCULATED: How Science Lost its Soul in Autism is even more explosive, detailing allegations by a senior CDC scientist of how the agency has covered up a link between vaccines and autism. The allegations of Dr. William Thompson are now under investigation by Congressman Jason Chaffetz's office and the House Oversight and Government Reform Committee. Kent and his wife Linda live in Northern California with their two children, Jacqueline and Ben. Fun fact: Kent played football for De La Salle High School whose Spartans had a 151-game winning streak from 1992 to 2003, a record unequaled by any American sport. This accomplishment is depicted in the 2014 film, When the Game Stands Tall, starring Jim Cazaviel and Laura Dern. Kent firmly believes that even though all this success happened after he stopped playing football for De La Salle it was “just a coincidence” and not a reflection of his athletic skills. 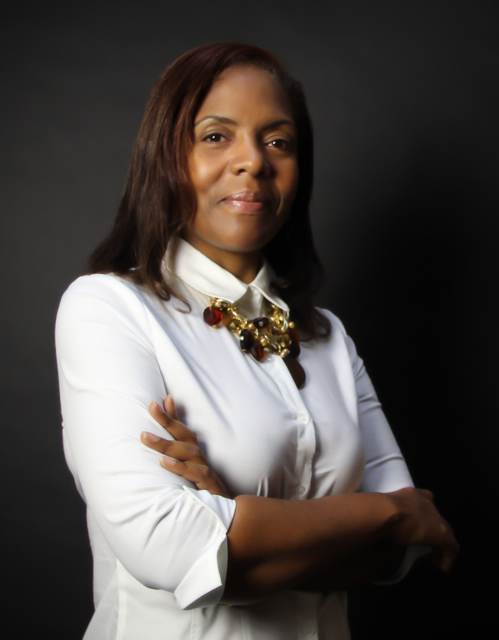 A chat with Autism Awareness Advocate and Founder, of No Small Victories, Jacqueline Williams- Hines. Jacqueline Williams- Hines, Autism Awareness Advocate and Founder of the No Small Victories Organization that is focused on educating the community about Autism and supporting families with a child on the Autism spectrum rejoins eHealth Radio and the Autistic Syndrome Information Channel. Jacqueline Williams-Hines journey began nearly sixteen years ago upon receiving a diagnosis of autism for her youngest son, Joshua. She began to navigate the maze of social services and special education. 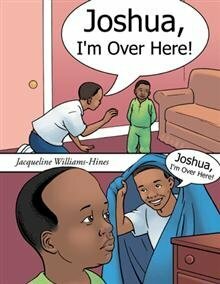 In an effort to educate her son’s peers on autism as well as catharsis in dealing with overwhelming depression, guilt and anxiety Mrs. Williams-Hines self-published her first children’s book, “Joshua and the Startabulous Dream Maker.” Positive response to her book prompted Williams-Hines to organize autism awareness walks, fairs and to continue with the book series to include three more books as well as an accompanying discussion guide. 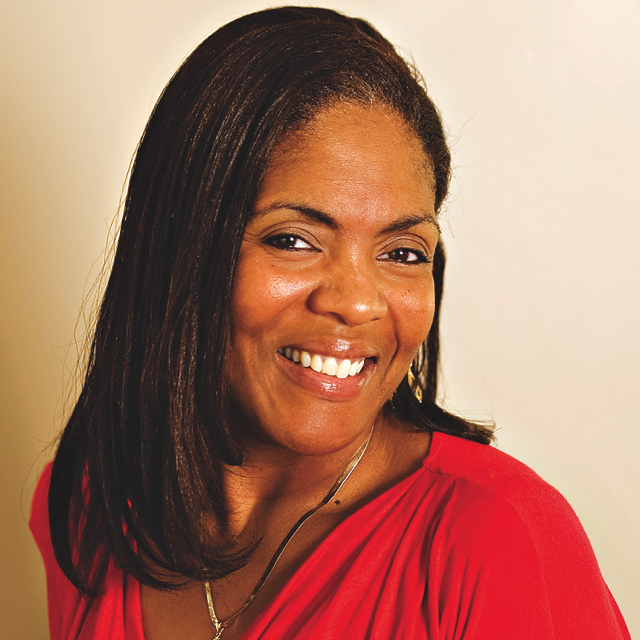 In 2008 she founded No Small Victories, a program of The Martin Luther King Jr. Family Services of Springfield, MA. Through this organization she continues to promote education and early detection of autism through workshops and book signings. A state member of Mass Act Early, a national autism initiative founded by the Centers for Disease Control, No Small Victories works to combat diagnostic disparities suffered by African Americans and Hispanics in underserved communities. Autism Awareness Advocate, Jacqueline Williams-Hines again joins eHealth Radio and the Autistic Syndrome Information Channel for Autism Awareness month to discuss her organization No Small Victories. 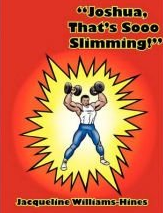 I understand you are an author of the No Small Victories Children's Book Series, what are the themes of the books in your series? Dr. Martha Burns, a noted neuroscientist, author, and leading expert on how children learn joins eHealth Radio and the Autistic Syndrome Information and Health News Channels. How does Autism affect language skills? What are some of the common ways to strengthen a child's language skills? How does BrainPro Autism work? Where can parents find out more about Fast ForWord? Dr. Burns has been a practicing speech and language pathologist in Evanston, Ill., for over 40 years. She is a Fellow of the American Speech-Language-Hearing Association, and is an adjunct Associate Professor at Northwestern University. Dr. Burns has authored over 100 journal articles on the neuroscience of language and communication, has written three books on language difficulties associated with neurological disorders, and lectured around the world on neuroscience applications to education and clinical intervention for children and adults with communication/cognitive disorders. Note: Parents are invited to apply to the Fast ForWord at Home Scholarship, open through November 20th, 2014. Anne Maxwell the author of the book, "Would you Teach a Fish to Climb a Tree? 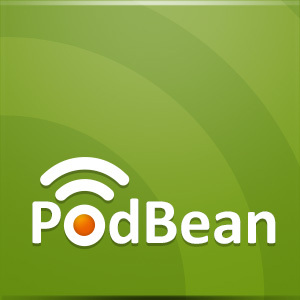 A Different Take on Kids with ADD, ADHD, OCD, and Autism joins eHealth Radio and the Autistic Syndrome Information Channel. Anne Maxwell, who is a child, play and family therapist, and an Access Consciousness® facilitator with over 20 years of experience working with children of all ages and backgrounds, who have been given all kinds of diagnoses. 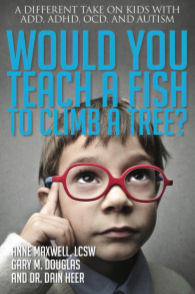 Why did you write the book - Would you Teach a Fish to Climb a Tree? You work with alot of children with Autism and have a totally different take? Can you tell us about that? What can be done for children who have a hard time focusing and concentrating? If there was one thing you wished that parents could take away after reading the book, what would it be? Anne Maxwell, LCSW, RPT-S, is a child and play and family therapist, and an Access Consciousness® facilitator with over 20 years of experience working with children of all ages and backgrounds, who have been given all kinds of diagnoses. Anne teaches children and parents to tap into and recognize their own abilities and knowing, and to acknowledge that different is simply different; not right, not wrong. As a result, healing and change are so much easier, more effective, more fun and faster! 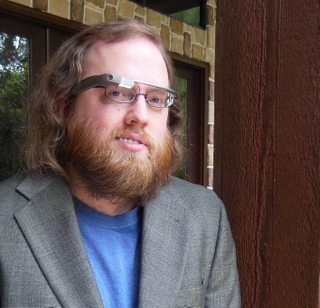 Paul Louden a 31 year old man diagnosed with autism at the age of 23 who has been selected by Google to help explore potential uses for Google Glass joins eHealth Radio and the Autistic Syndrome Information and Technology Channels. How did you get chosen as an explorer? How has Glass helped you? What other uses can you see for it in relation to autism? Do you see potential to help those with other disabilities? Paul Louden is a 31 year old diagnosed with autism at the age of 23. Before his diagnosis he visited many countries with his family as a child and young man, and from these experiences has developed a thoughtful perspective on autism spectrum disorders and what they can mean to those who live with them. He advocates for those on the spectrum at conferences, conventions, and on the Understanding Autism Radio Show.